The UAE has made a series of changes in the way it handles money laundering. The government has gone the additional mile in clubbing the Anti-money laundering laws with terrorism financing so that the law Federal Decree No. 20 of 2018 applies to several verticals of illegal monetary transactions. The new laws are in accordance with the guidelines set by the Financial Action Task Force, which pertain to terrorism financing and anti-money laundering regulations. His Highness Sheikh Khalifa bin Zayed Al Nahyan himself issued the creation of a unit that solely handles money laundering, terrorism financing, and other illegal transactions. The new law implements a methodology where the institutions having an income, either through business or other professions must be completely accountable for their finances. They must not open accounts anonymously or under any pseudonyms. The institutions must also identify, evaluate and update on crime risks that are involved in their area of business. there should also be internal policies that must be in place so that the company can review the risks better and intercept them before it escalates. Money Laundering in UAE: What you need to know! As per the new reforms, if any person or institution is caught performing the following procedures with the knowledge that the funds were generated as a result of a crime, then action will be taken against them. The deposit, transfer, conversion, safekeeping, exchange, management or investment of the funds or actions that are taken to cover up the origin of the money. The actions are taken to hide or disguise the origin, nature, disposition or movement of the capital. Ownership of the possession, acquisition and the use of the capital. One must note that these actions we have specified will only count as a crime if the person handling the money is aware that it is from illicit sources, otherwise, the crime is considered to be committed out of negligence. Since money laundering is not considered to be a predicate crime, a person charged for predicate crime can be charged money laundering penalties if they are found guilty with money laundering. What are the roles of financial information Unit and the National Committee? The financial information is set in place to regulate financial institutions by reviewing their report and other financial activities. If any discrepancies are found out in the operation of a financial institution, the report will be handed over to the concerned law enforcement teams. The financial information unit can also have the authority to transfer the reports on illicit conduct to other countries who may help the UAE departments in the process. What are the other government institutions overseeing monetary crimes in the UAE? What does the law state about Penalties? The penalties that come in effect when charged with Money Laundering begins with a fine that ranges from DH 10,000 to DH 1 million. There is also a chance of imprisonment that can last up to 10 years. Are you facing legal complications that pertain to Money Laundering? Put yourself and your business in the safe by hiring expert lawyers to present yourself in court. With Al Nassar Advocates in Dubai, you will always have the legal upper hand! Contact us today to know more! Before venturing out to find the best real estate lawyer in Dubai, you must ask yourself if you know the qualities to look for in a real estate lawyer that puts them a cut over the rest. Since they handle very delicate matters that are usually of large financial significance, you need to carefully review their skills and reputation before going through with the appointment. Lawyers need to have the license of the respected jurisdiction license if they want to deal in a certain state. Lawyers often reject clients from states that they do not operate in. But if the details were to go unnoticed, you might be hiring a lawyer who is not authorized to practice in that specific area. This can lead to further legal complications. The remedy is pretty simple as you can ask for their license before hiring them and ask them about their jurisdiction rights. When you are hiring a real estate lawyer, you have to be sure that he/she is giving you all the right info without any blinds on. When something goes wrong or if your business strategy needs immediate change, you must have to hear it no matter how negative it is. Leading the client on without giving out proper info will cause a breakdown if something bad were to happen. 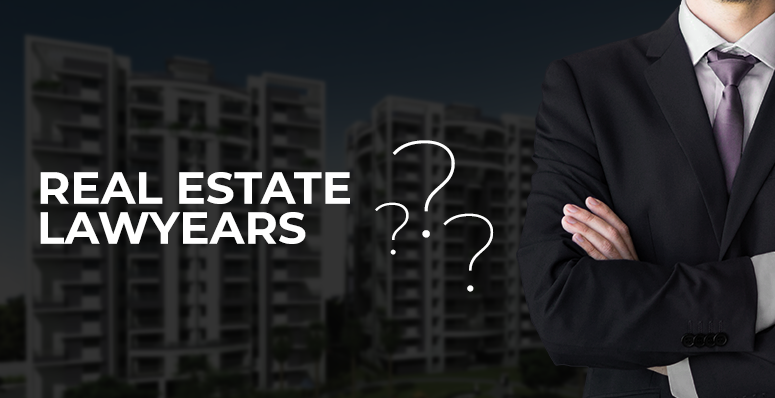 When you are in the process of buying or selling real estate, you must inquire about the area where you are trading. There might be some complication tied to a piece of land that might hinder its value over time and knowing everything about it from the get-go will be a major help. A real estate lawyer with appreciable local knowledge will have all the key skills to facilitate a smooth trade. If you are looking for a real estate lawyer for a specific purpose, make sure that the lawyer has enough grasp of the matter. This can be easily evaluated if you review their past cases. If they do not have enough expertise in the field that you need help in, choose another real estate lawyer who does have experience in that specific field. You can spot the best real estate lawyers in Dubai by how much value they give to their client’s time. Like the saying that goes “Time is money,” every second matters when it comes to business. You will know that your real estate lawyer is serious about your matter when he/she shows up for meetings and other legalities punctually. The real estate lawyer that you select must be skillful enough to get you the best deal always. They must be able to convey the ideas better and have the proficiency to conduct deals that make the client happy. Negotiations are a critical part of real estate trade because the deal must be in such a way that both parties can leave happy. You need a skillful lawyer to find that sweet spot. There is no real benefit in having a real estate lawyer who has all the above qualities but does not respond in time to your queries. Promptness or availability are two different attributes that achieve the same end result – better client satisfaction. Just think of a scenario where you need immediate legal assistance, but your real estate lawyer in Dubai is nowhere to be contacted! So be sure that the people you hire are available to you. Tough to find people with these skills? We know how hard it can be to get a real estate lawyer in Dubai who can check all the right boxes at all times. We, Al Nassar & CO., found a solution to this by giving you access to a group of lawyers who have proven their mettle in their respective fields. This way, you will always have the best possible help by your side 24/7. Why wait, contact us now!